Soflex Contact Lenses will be exhibiting at the ECLSO in Izmir, Turkey from the 16th to the 17th of October 2015! Wishing safe travels to IsraelExporter.com team members Brian Berman and Herzel Sharet! Brian will be visiting China and meeting with investors and professionals in the construction industry for a unique Israeli company that has developed an innovative measuring technology for the construction industry. 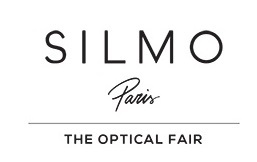 Meet Just Eye Fashion at the Silmo Paris 2015 Show! 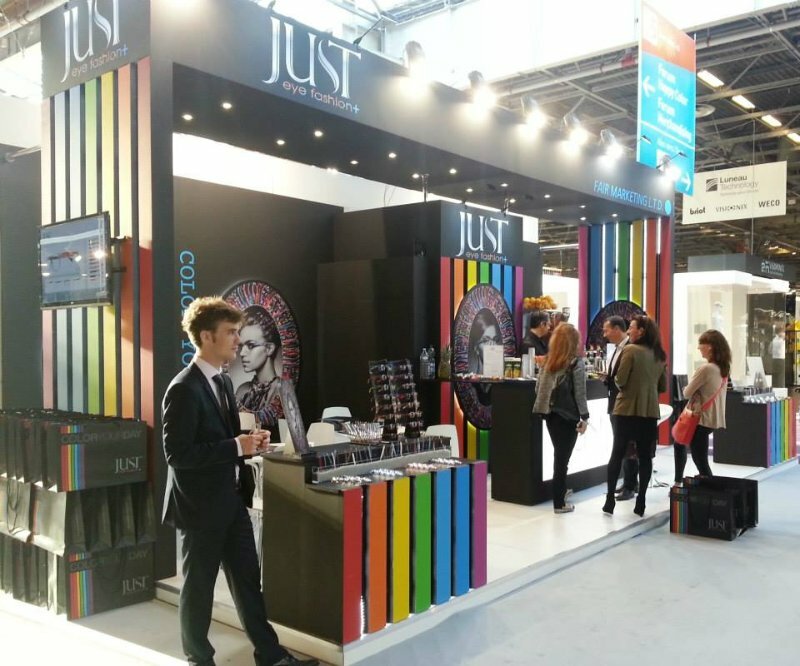 Just Eye Fashion Booth at Silmo 2014! Now selling in over 20 countries - JUST Eye Fashion is a fresh, fun, interchangeable temples system, offering the highest quality frames and temples in a wide range of colors and styles. Experience the fashion freedom of JUST eye fashion+, with a selection of up to 25 frame models, each available in 5 to 9 colors, and over 200 temples in a fabulous rainbow of colors, textures, and decorative patterns. ג'יג'י קוסמטיקס מייצרת ומשווקת מספר סדרות טיפוח ויותר מ-400 תכשירים קוסמטיים בכ- 40 מדינות ברחבי העולם. לפני כשלוש שנים חברת ג'יג'י קוסמטיקס הצטרפה לתוכנית לאיתור מפיצים במסגרת ה IsraelExporter.com. במהלך התוכנית התבקשנו לשנות כיוון ולתמוך במפיצים קיימים על פני חיפוש מפיצים חדשים. שירות התמיכה במפיץ קיים הוצג ע"י חברת ג'יג'י בפני מפיציהם. מהשירות בקשו להנות המפיצים מפינלנד, פולין ואוזבקיסטן. מטרת השירות לתמיכה במפיצים: איתור ערוצי מכירות ולקוחות (הכוללים פרטי קשר של מנהלים רלוונטיים) כדי לאפשר למפיץ המקומי מידע טקטי שישמש להגדלת המכירות. להתנעת השירות – פנה צוות המחקר של ה IsraelExporter.com למפיצים אלה לקבלת מאפייני ערוצי המכירות שיהיו רלוונטיים עבורם. לאחר קבלת המאפיינים - צוות המחקר איתר מידע רב הכולל פרטי קשר עבור כל שלושת המפיצים במהלך 3 חודשים. המשוב מחברת ג'יג'י היה מאוד חיובי ואנו משכפלים את התהליך עבורם לשוק האסייאתי . מהלך זה חשוב לחיזוק הקשר בין החברה לבין המפיץ ומציג את היצרן באור חיובי ורציני ותורם בסופו של יום לשורת הרווח שלו. עלות תחזוקת מפיץ קיים ואיכותי נמוכה עד פי 7 מאיתור וגיוס מפיץ חדש. מפיץ המצליח בשוק המקומי ישאר נאמן לחברה לאורך שנים. This is our 6th year providing pre-exhibition research for IsraelExporter.com companies exhibiting at the Cosmoprof Asia Show in Hong Kong! 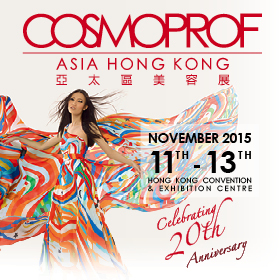 Cosmoprof Asia, the leading beauty trade event in Asia-Pacific. "Heartline Telemedical Services has established a center in Cebu to offer its digital devices for remote health monitoring. David Rubin, president and chief executive officer of telemedical device manufacturer Aerotel Medical Systems, said the HeartView P12/8i will allow users to do ECG scans on their own and send the recording to their doctor for analysis." The HeartView P12/8i is a 12 (or 8) lead ECG event Recorder/Transmitter. It is a small yet very powerful device with high resolution 12-Lead ECG recording technology. 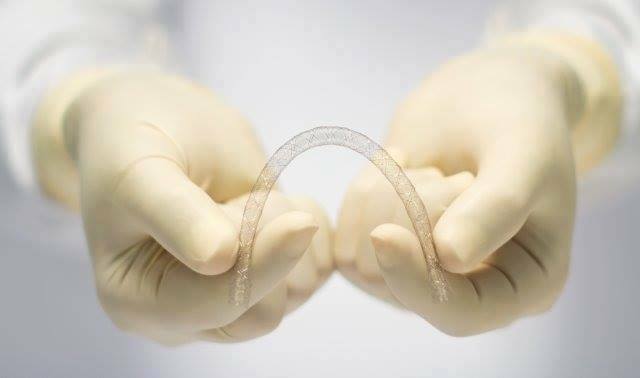 The HeartView P12/8i is designed for patient use by its unique method of recording. 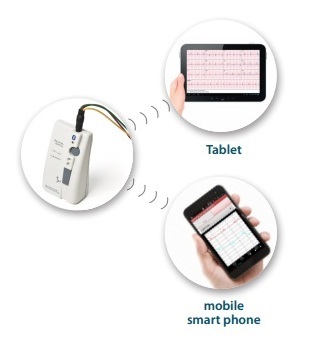 The HeartView P12/8i enables the transmission of comprehensive ECG data from any place, at any time. The recorded ECG is automatically transmitted via Bluetooth to Aerotel’s Mobile CliniQ App installed in your mobile device. The ECG data is then automatically sent from your mobile device to your cardiac call center for immediate diagnosis by using Aerotel’s HeartLine Receiving Station (HRS) or any other compatible system. When necessary, it can also be transmitted acoustically, via a land line phone, directly to your cardiac call center. Continue Reading Here! President & CEO at Aerotel Medical Systems on Stage in Cebu! By combining modern techniques with the traditional methods of jewelry crafting, as well as using top-quality resources, Tal Azulay succeeds in creating those most exquisite pieces that define Tal Azulay Jewelry. 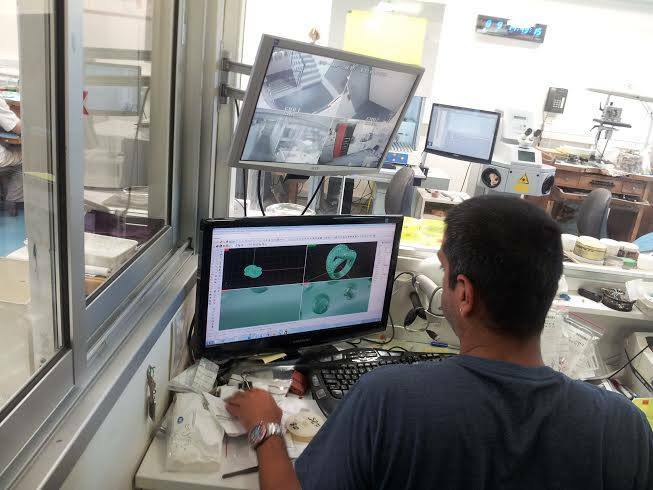 The Tal Azulay Jewelry design team uses a Solidscape 3D printer hooked up to the Rhino 3D modeling software. 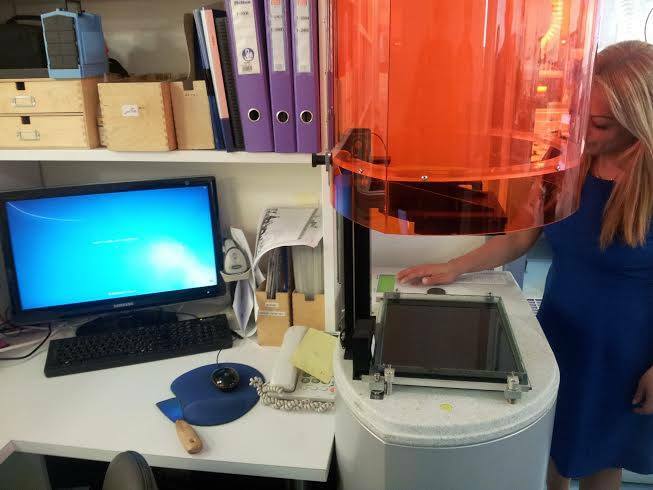 Stage 2: The design is then "printed out" in very fine layers of wax that eventually produce a 3D mold, ready to be casted, and then refined by hand. The IsraelExporter.com & Skylimit teams have developed unique tools that allow us to effectively research the distributors/channel partners of your competitors. 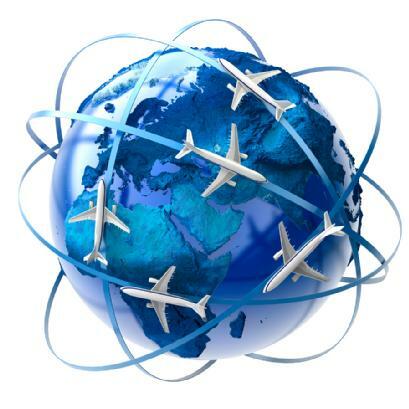 Our in-house tools allow us to research any industry and country. Several months ago we launched a unique JV program with The Israel Export Institute offering this as a focused service to exporters & within a few hours over 10 companies signed up. Accuracy is the name of the game and the feedback has been very positive. 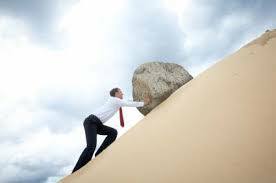 Since launching our JV with the IEI - This service has gained popularity and more and more exporters are expressing interest in learning more about this service. 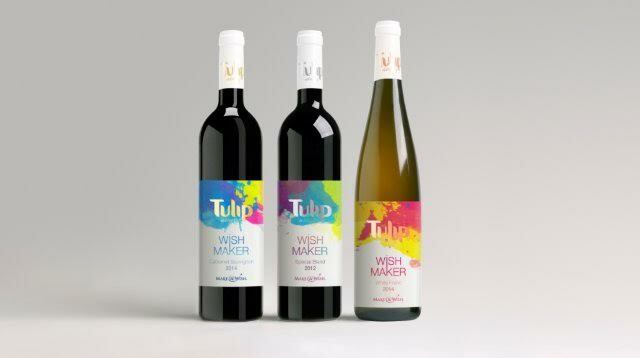 Tulip Winery and Make-A-Wish Israel organization are collaborating once again (three years!) on an extraordinary and exciting project. Tulip Winery will manufacture bottles under the label "Wish Maker"
These special wine bottles are then sold in Tulip's unique gift packs for the high holidays coming up soon. Half of the sales revenue from the gift packs go to Make-A-Wish Israel, which makes the wishes of children with life-threatening diseases come true. "Our unique partnership with Make-A-Wish Israel allows us to make many dreams come true! We are really excited about this powerful project and we hope to put a smile on many kids faces this year"
VGS develops innovative solutions to improve the outcome of bypass surgery and patients’ quality of life. 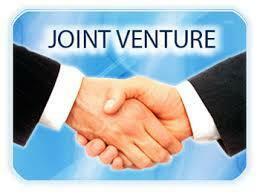 VEST, the company’s leading product, is a hybrid biological conduit that combines the benefits of both arterial and venous conduits. "The feedback from the surgeons is great. To date, 150 VEST cases in more than 30 leading heart centers were performed in Europe. We are very encouraged by VEST adoption rates and are looking forward to working with cardiac surgeons to create a new standard for patients!"